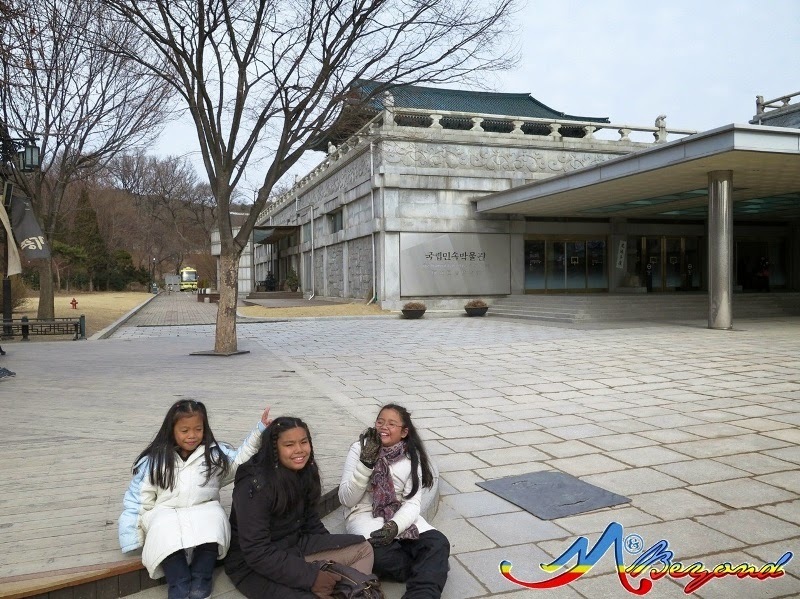 Towards the rear of Gyeongbokgung Palace, we saw a gate leading to another building. 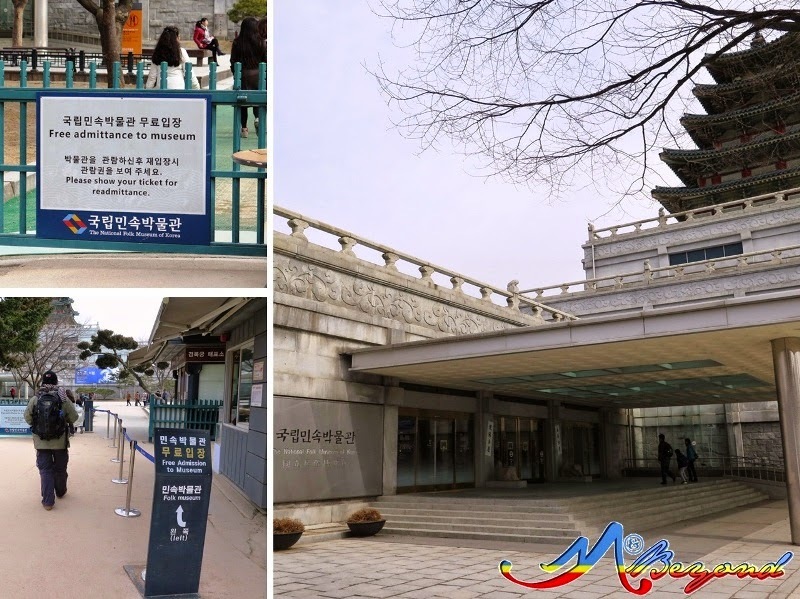 We followed the trample unaware of what’s in store ahead until we entered an entrance with marker “free admission” to museum. 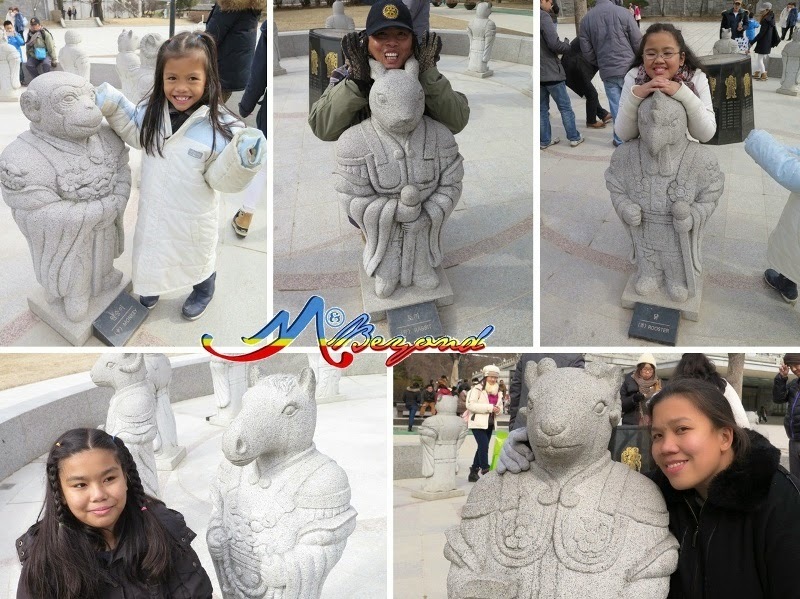 Outside the museum is an animal statue in circular form representing the twelve zodiacs. 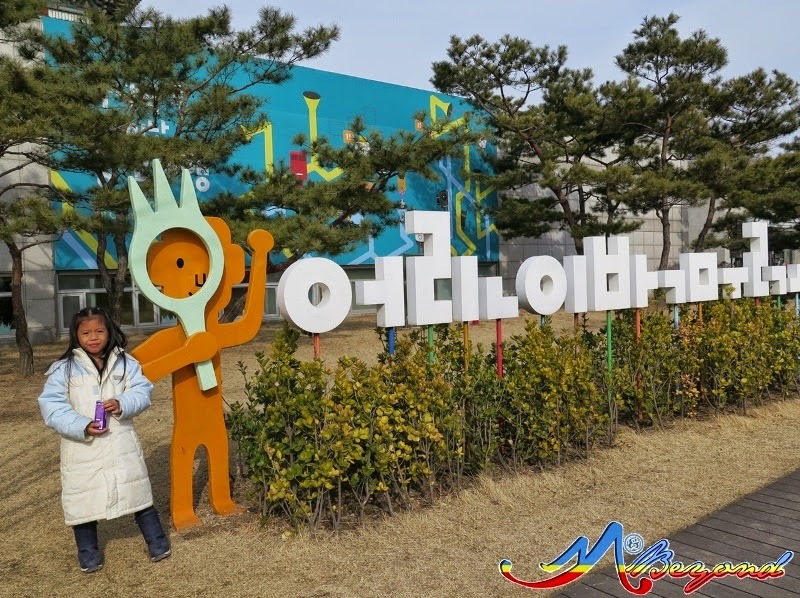 Naturally, we all had a pose with our respective sign. 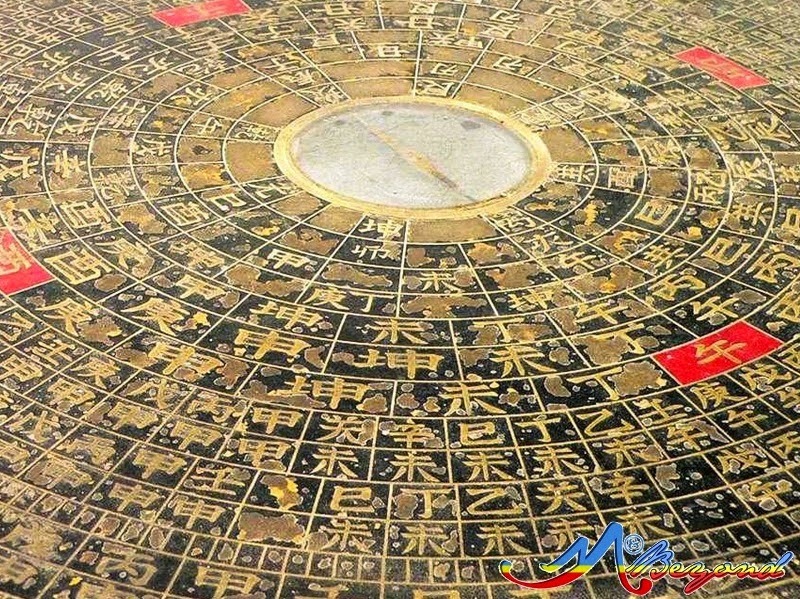 If only I can read the etching at the center, maybe we can have a better appreciation of the symbols. 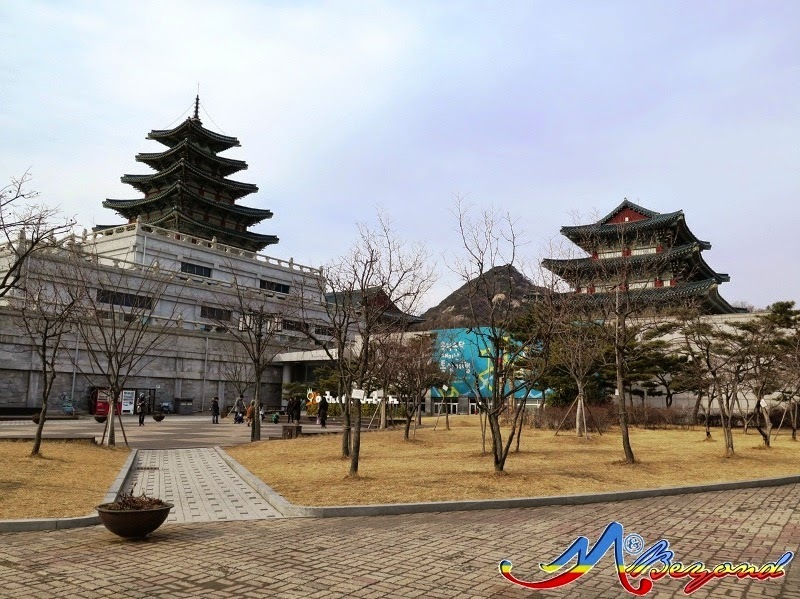 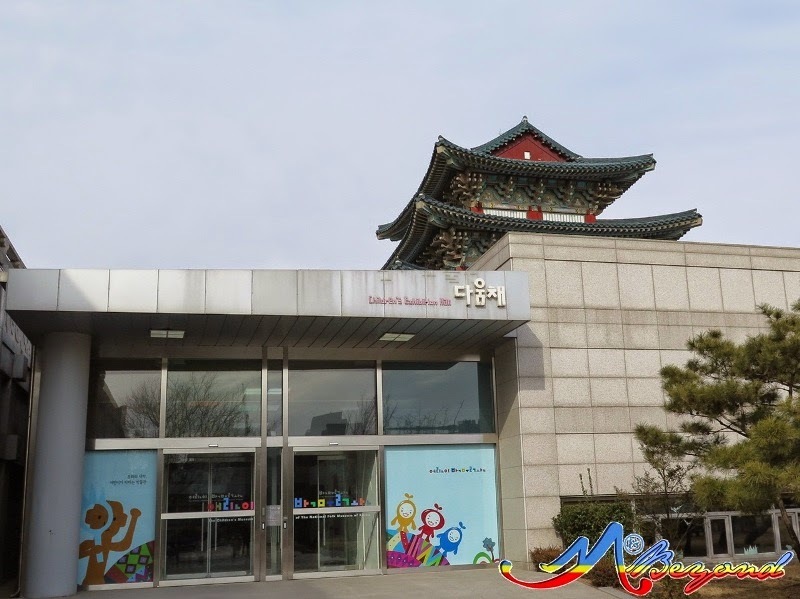 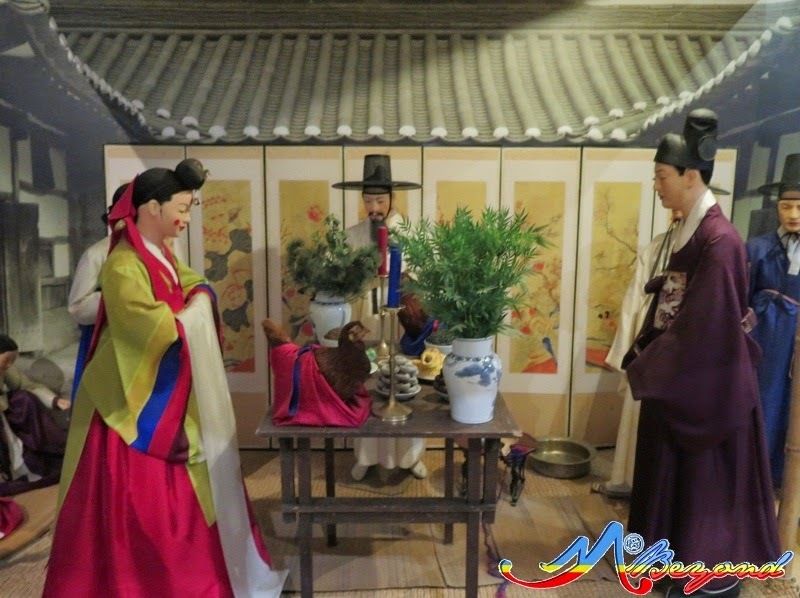 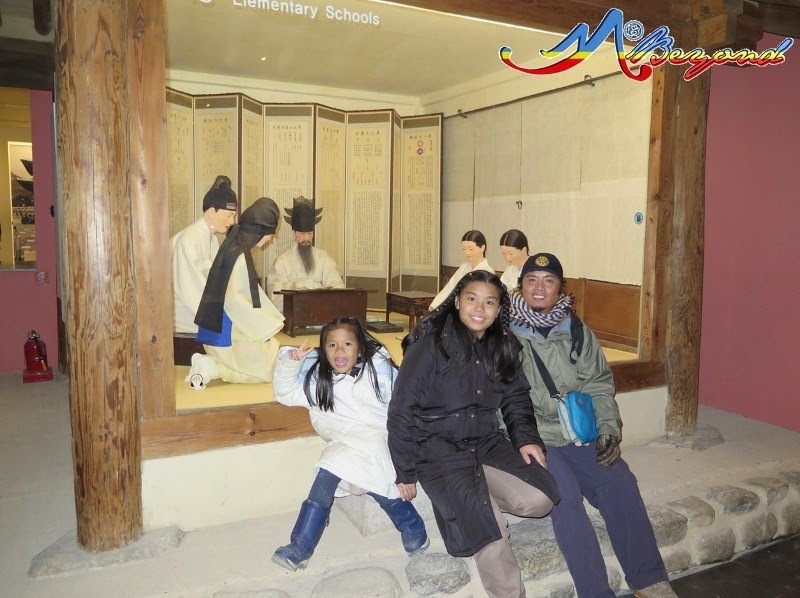 The National Folk Museum depicts the living of the Korean people outside of the palace or the villagers. 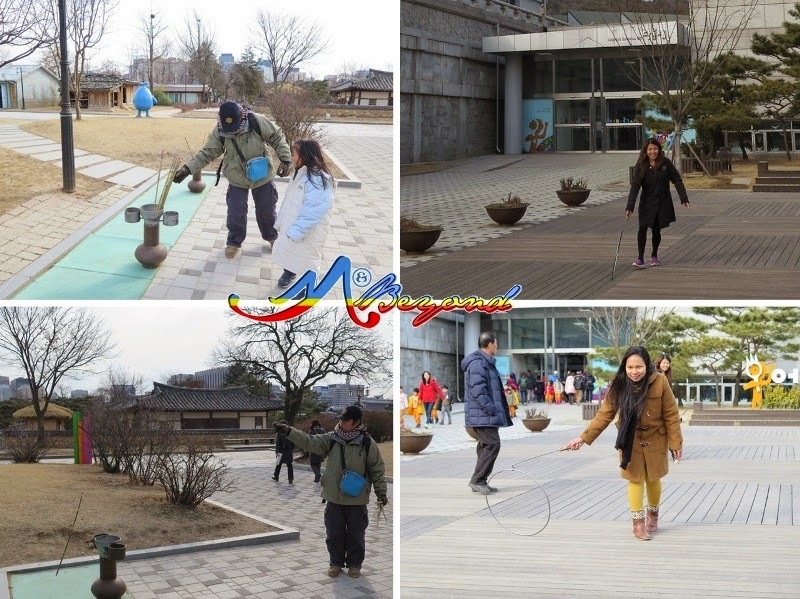 I admired how Koreans value not just the possessions and livings of Kings but also the culture and lifestyle of the common people. 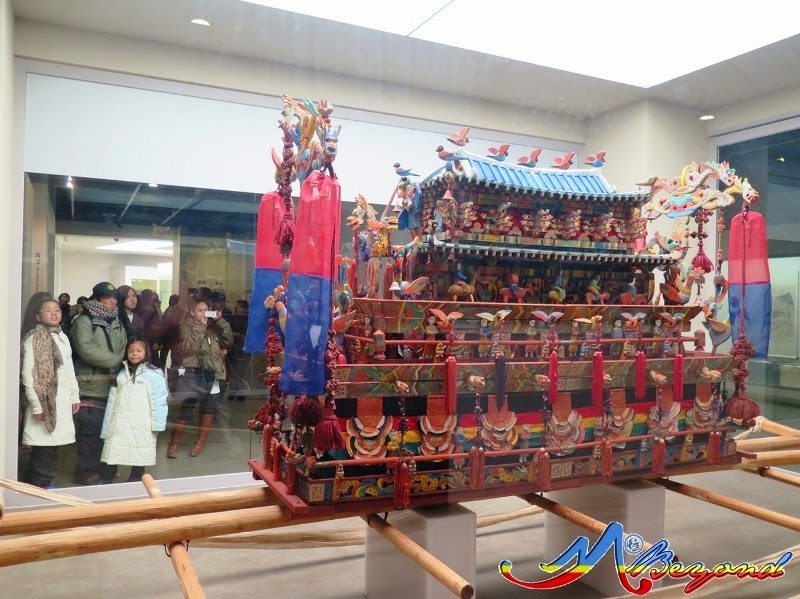 Inside the museum, we were welcomed by one of its masterpiece, a beautifully crafted funeral coffin. 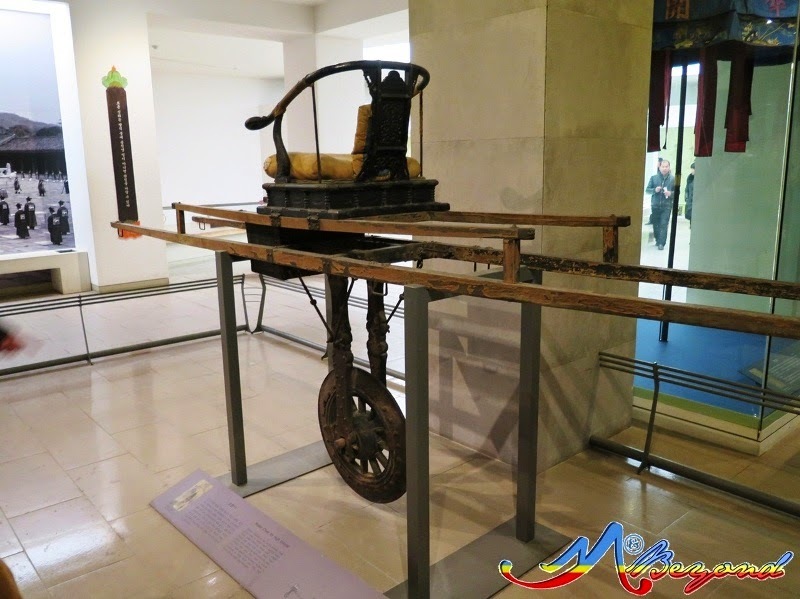 Also on display is a rickshaw or what they call as a sedan chair for high official. 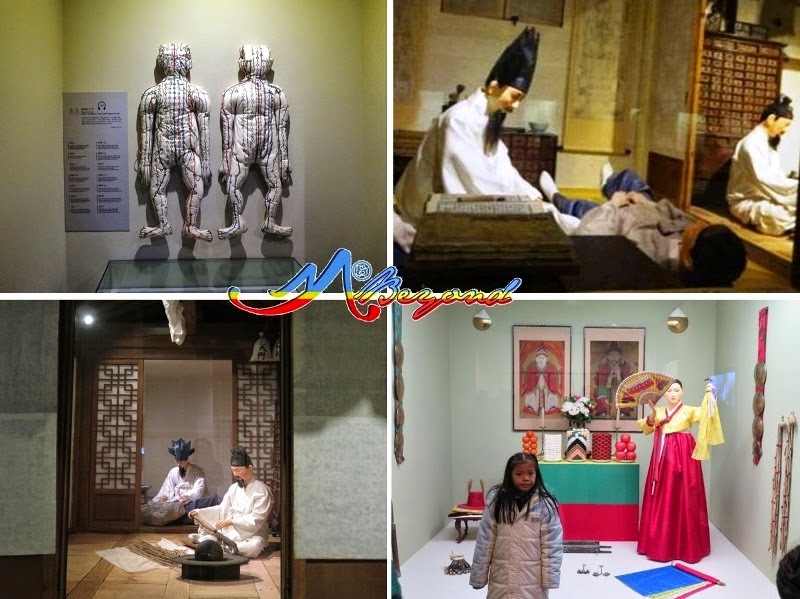 Then a section about traditional medicine, acupuncture, and even exorcism to drive away smallpox. 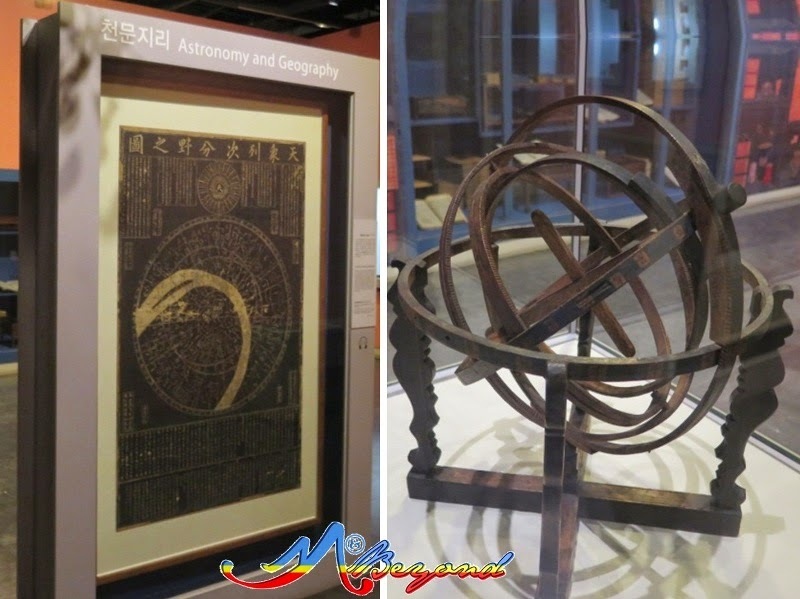 Even early astronomy and geography. 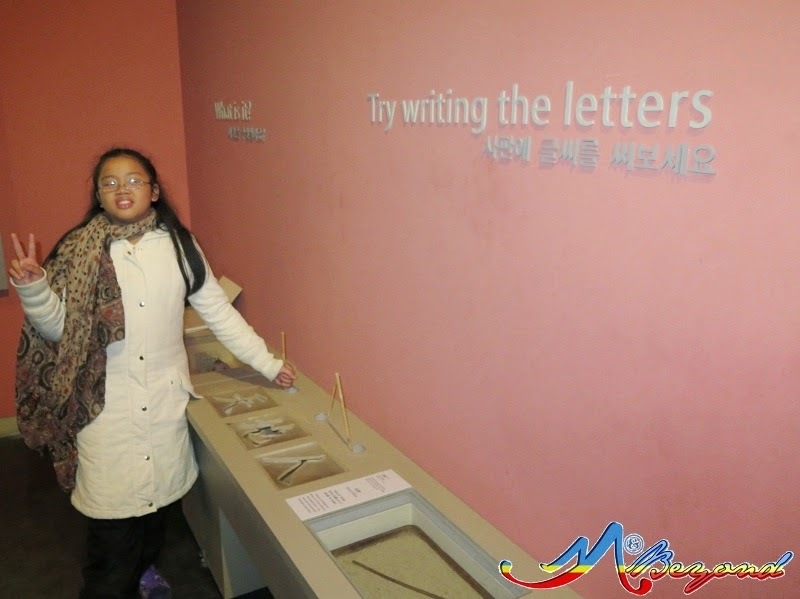 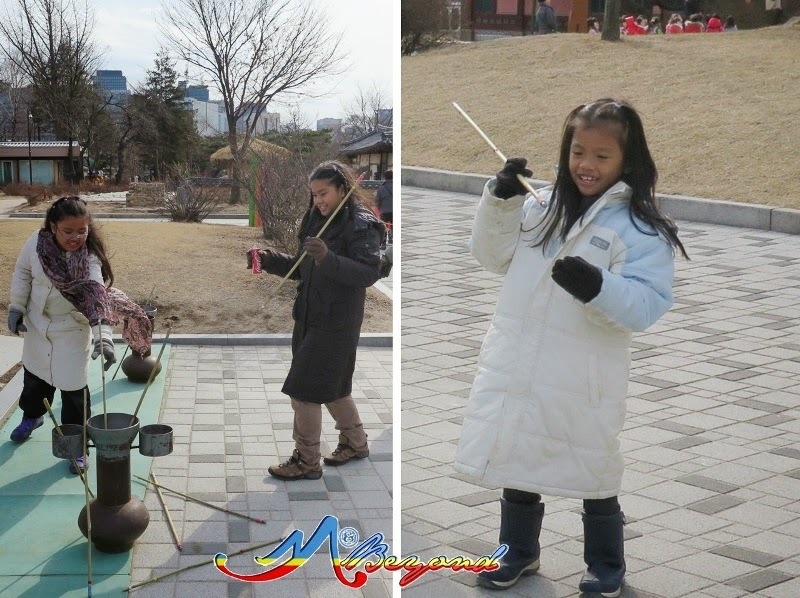 One can also try writing/tracing Korean letters and have a glimpse of their elementary school set-up. 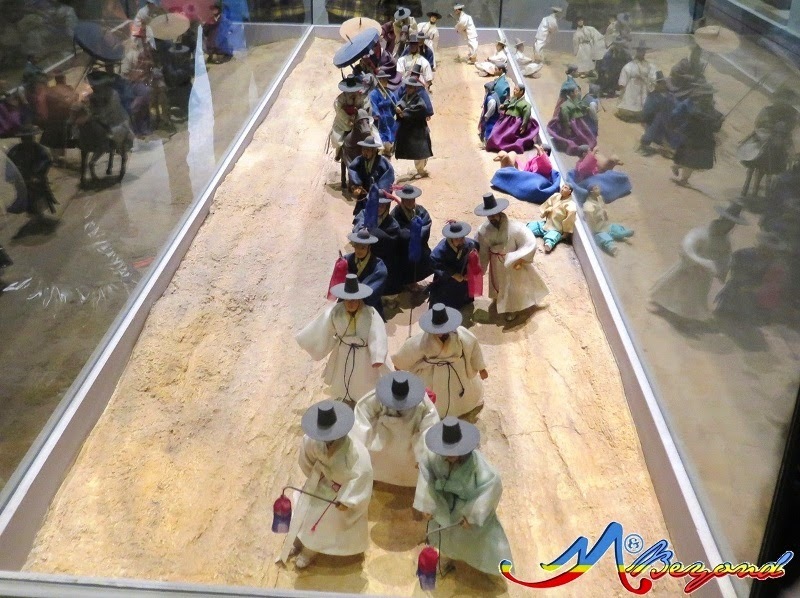 What fascinated me was the marriage ceremony. 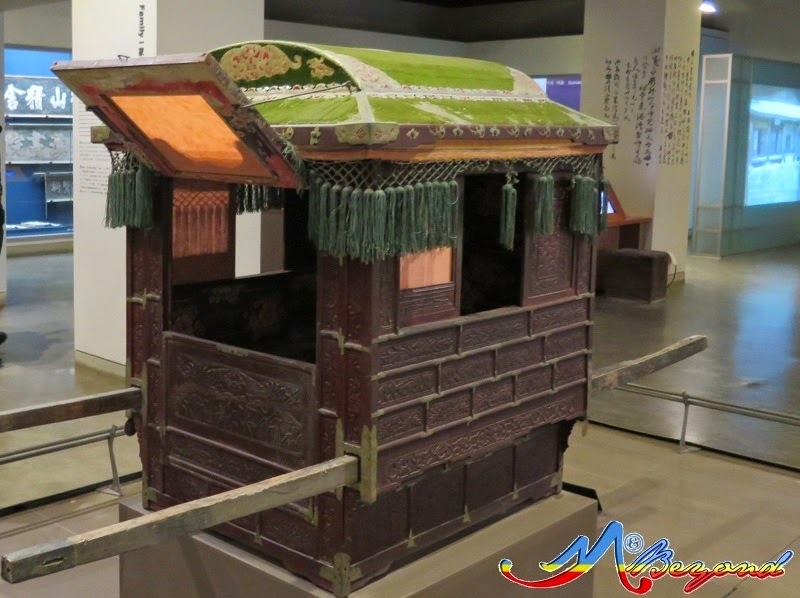 It has a complete display of a traditional wedding rite from the procession of the groom, the bride’s palanquin to the ceremony itself. 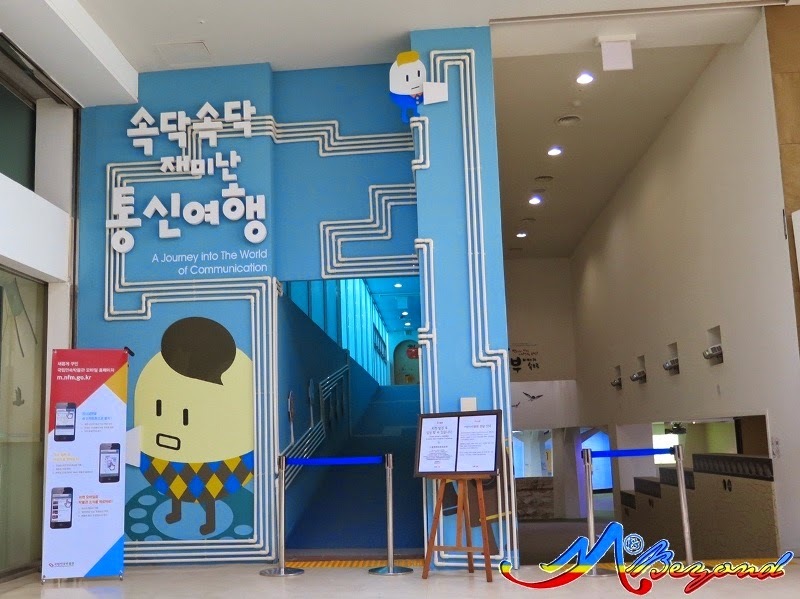 Within the museum is a Children’s Exhibition Hall and it has its own Children Museum and an area that says “A Journey into the World of Communication”. 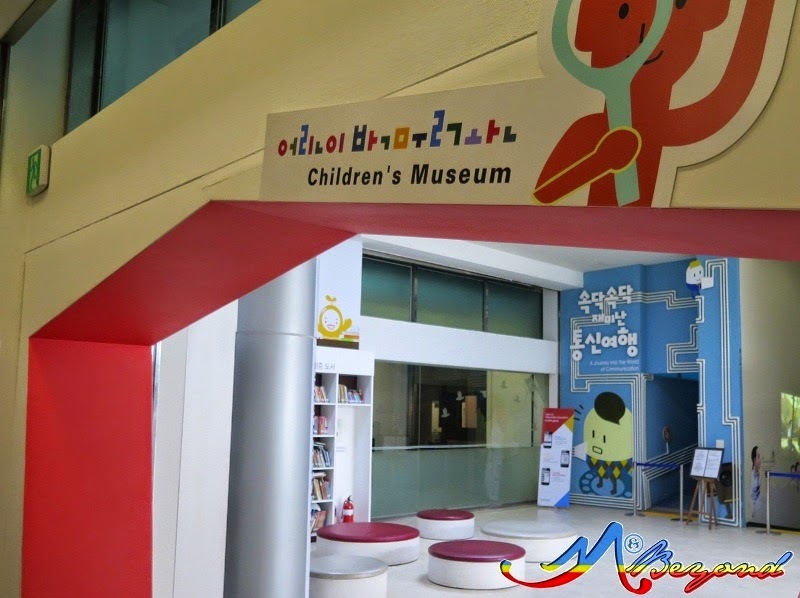 So guess who enjoyed most the tour… Aside from the museum being interactive, the Children’s area was a major plus.